Fortify our competitive advantage by building proficiencies around strategic thinking, planning, implementation and celebration. Create a regular review cycle to analyze, measure, assess and compare the value of strategic solutions. Build reliable, adaptable frameworks for implementation of strategic initiatives. Integrate practices of data gathering into strategic processes to observe, listen and understand. Employ creative problem solving techniques, which include scenario models that generate a palette of solutions, in creating a vision for the long-term needs of our mission in a rapidly changing world. Equip our students, faculty and staff with strategic-thinking skills that enable them to embrace change and empower their confidence to solve problems. 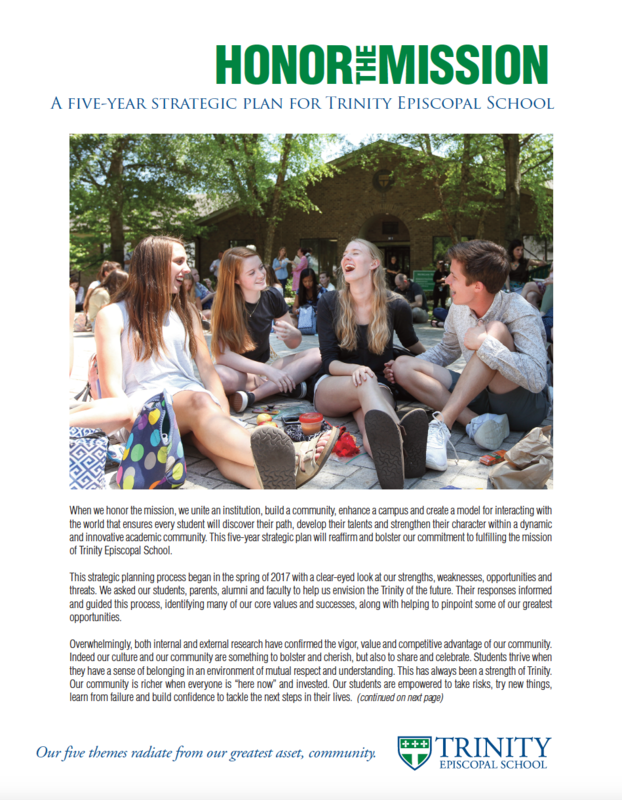 Facilitate strategic skill development with educational programs, innovative learning space, inspiration from outside resources and community-centering themes.